This is a gem of a pony, super smart and willing and oh what fun! 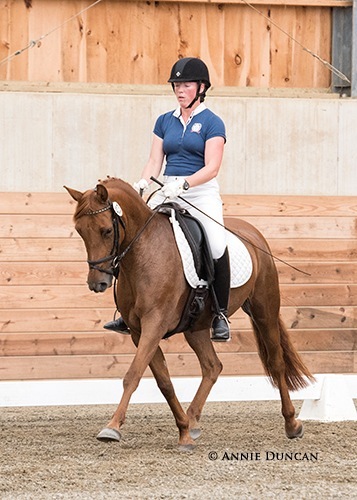 A serious FEI dressage pony for the petite rider, Wicked Games is an elegant New Forest Pony mare, who is beautifully trained and is currently showing Third Level (74%) and training Fourth Level movements at home. She has confirmed lead changes, tempi's and is well on her way to pirouettes and half steps. She is athletic and has a large stride and gives you the feel of riding something much larger than her 14.1 hds. 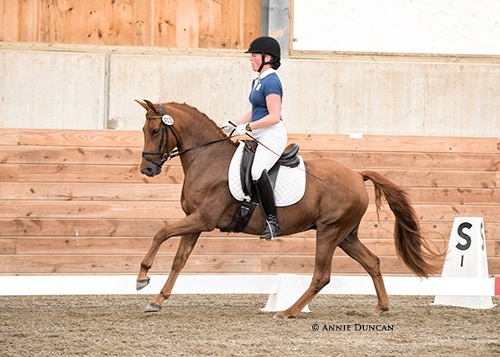 Wicked Games is a Premium Mare with the ISR/Oldenbury Registry and as a four year old passed her Mare Performance Testing tying with top scores against a warmblood. As a young pony she is showing us great promise for the upper levels. She clips, vacums, trailers, is bare foot and lives outside 24/7. She is very low maintenance and is a sweet adorable pony who is a joy to be around. Wicked Games will continue in full training until sold. 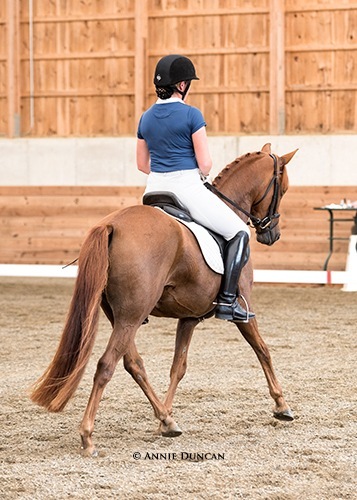 A knowledgeable show home is a must for this exceptionally talented little mare. Update: SOLD! Congratulations to Emmaline Count!